Flame-resistant, anti-bacterial, 8 gauge white vinyl fabric with standard height of 72″ (1829 mm). Curtain should be 6″ (152 mm) wider than opening up to 42″ (1067 mm) and 12″ (305 mm) wider than opening exceeding 42″ (1067 mm). 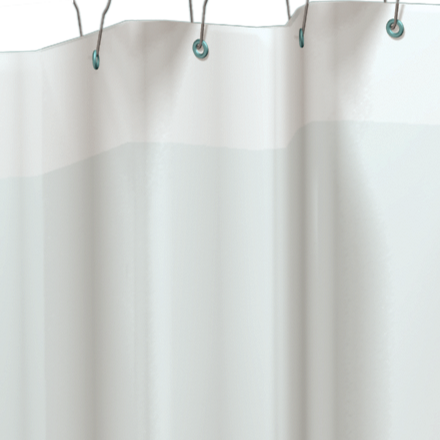 Shower curtain should be attached with hooks (not provided, order separately) to rod (not provided, order separately). Curtain hooks Model № 1200-SHU are recommended.